Give frogs, lizards, chipmunks and other small critters a chance to escape on their own. Place one or more escape ramps around the pool deck to offer small animals a quick escape route. Instinctively small creatures will swim toward the pool wall after falling into the water. They will circle around the edge of the pool looking for a way out. Once they bump into The Escape Ramp, they will climb on and out of the pool. Your pool water will stay cleaner by minimizing bacteria from animal waste. Avoid the nasty task of removing critters from your skimmer. Simply fill the weighted pillow with one scoop of sand or pea gravel. 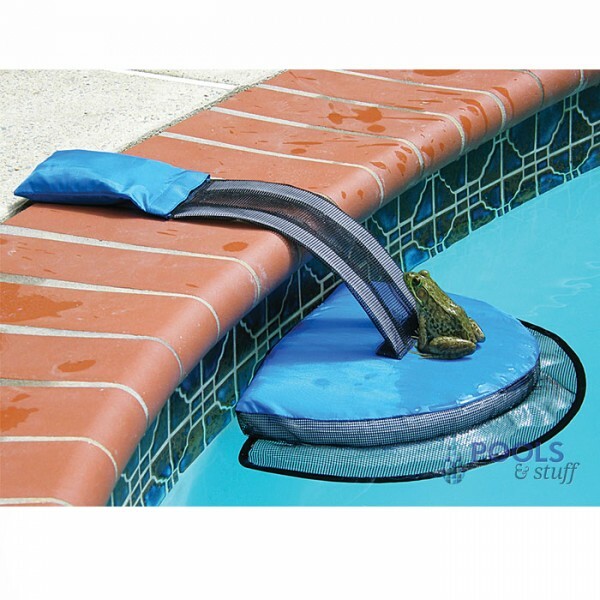 It rests on your pool deck or top rail to keep the floating pillow in place. Use multiple ramps for pool sizes larger than 15’ x 30’. 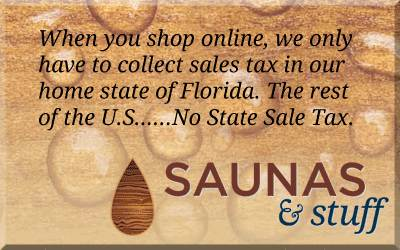 Can be used in hot tubs, ponds and fountains. Turn off pump and filter at night for best results.